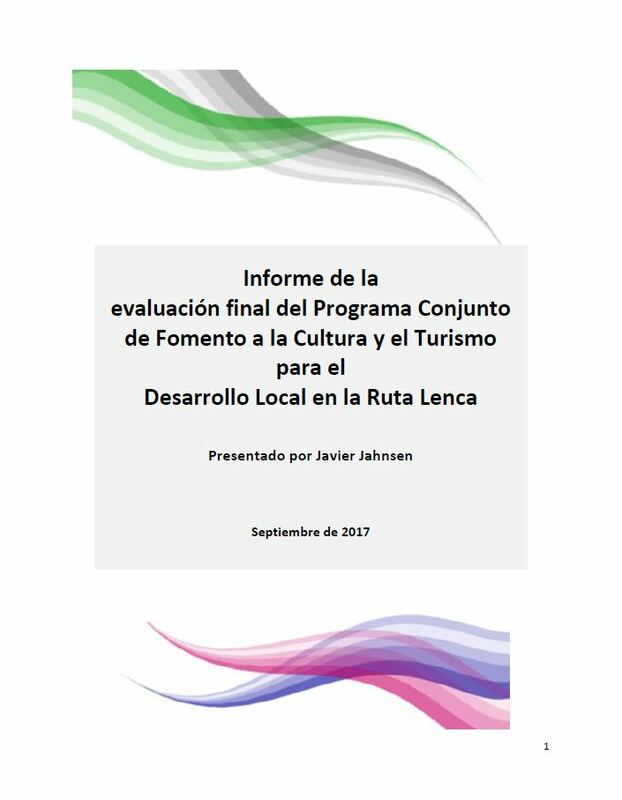 The Lenca area's important tourist and cultural attractions have great potential to improve the economic situation of its residents. Cultural heritage includes crafts, festivals and traditions, arts, food, and natural medicine. The SDG Fund programme aims to reduce the poverty levels of vulnerable rural populations, including youth and women, through the development of sustainable cultural tourism initiatives. Of the total number of beneficiaries, at least 60% are women. The programme seeks to promote inclusive local economic development. It takes on a participatory approach incorporating indigenous groups, the private sector, and establishing alliances with social services to prevent gender-based violence and alcoholism. 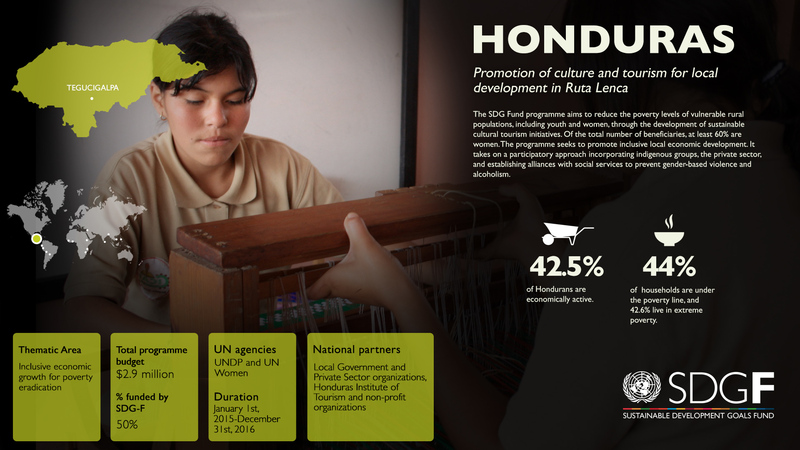 Ensuring women and youth of the Lenca region are at the center of all strategies, promoting empowerment and active participation. Institutional capacity building, community management of natural resources, and green business practices. 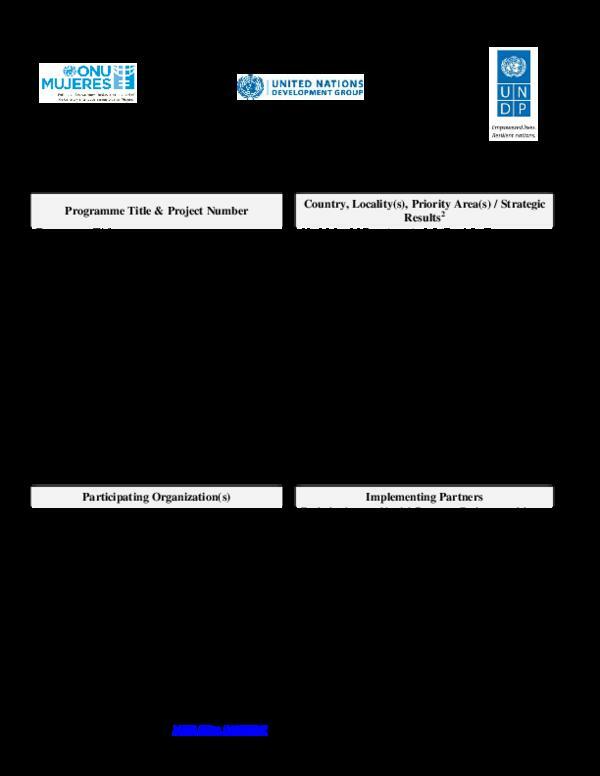 Encouraging the participation of beneficiaries in decision-making processes of both the programme and their communities. 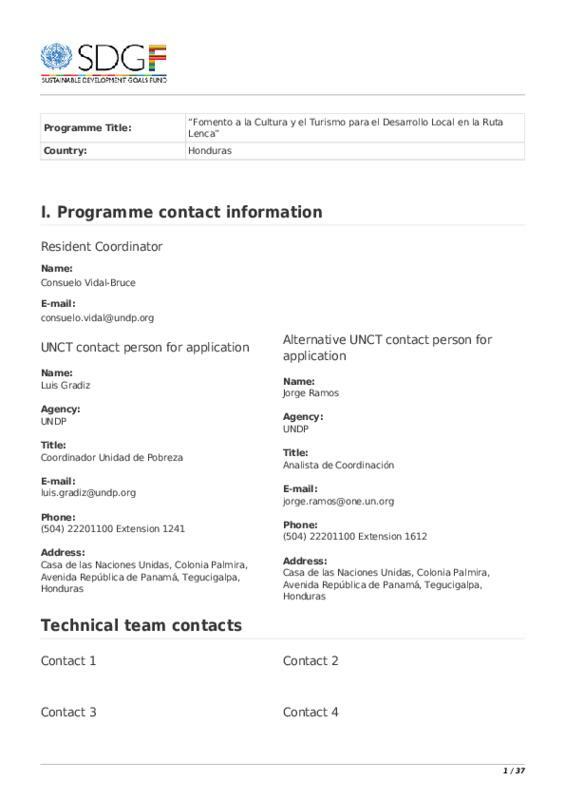 National partners: Local Government and Private Sector organizations, Honduras Institute of Tourism and non-profit organizations.